Have A Question? E-Mail Us! Fair Oaks Estates is a unique community. 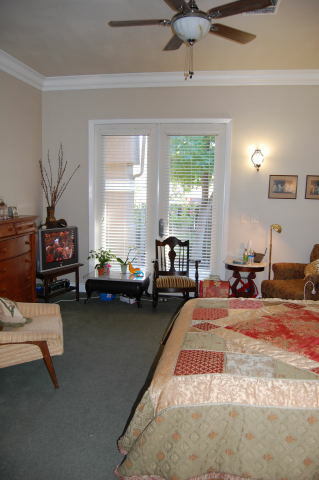 Offering assisted living services and a secure memory care wing for older adults with dementia. Our community is located on four beautiful acres in Carmichael, California, and enjoys the benefits of local ownership. Our management and staff are committed to providing a positive and caring environment for each resident to realize their personal potential. Spacious interiors are comfortable & inviting. The outdoors provide the perfect environment for residents and family alike. Fair Oaks Estates Activities Program is open daily with a variety of exciting social and recreational events ranging from outings to live entertainment. The culinary delights and atmosphere of our dining room are that of a five-star restaurant. Come Join Us For a Tour and see for yourself why Fair Oaks Estates is the best choice for Senior Living in the Carmichael area. Fair Oaks Estates is always accepting entry level or qualified professionals to join our friendly & patient focused staff.